Use the Folders list to select the folder in which you want to search. Select Edit, Find, Message in this Folder. (Alternatively, either press Shift+F3 or pull down the Find toolbar list and select Message in this Folder.) Outlook Express displays the Find dialog box shown in Figure 1. Figure 1. Use the Find dialog box to perform simple searches within a folder. Use the Look For text box to type a word or two that you want to use as the search criteria. Find will look in the From, To, and Subject fields for the search text. If you also want Find to look in the body of the messages, activate the Search All the Text in Downloaded Messages check box. When entering your search criteria, bear in mind that if you include multiple words, Find will match only messages that contain all the words. Also, Find matches only whole words, so it won’t match partial words, and the search is not case sensitive. Click Find Next. Find examines the messages and, if it locates a match, it selects the message. If you want to search specific message fields, if you want to specify different criteria for each field, or if you want to include specialized criteria such as the message date or whether a message has attachments, you need to use the full-fledged Find Message feature. If you have the Find dialog box displayed, click the Advanced Find button. Browse Select the folder to search. If you want the search to include the subfolders of the selected folder, leave the Include Subfolders check box activated. From Type one or more words that specify the email address or display the name of the sender you want to find. Figure 2. Use the Find Message dialog box to look for specific messages in a folder. As with Find, the individual Find Message criteria match only those messages that contain all the words you enter, match only whole words, and are not case sensitive. Note, too, that Find Message only looks for messages that match all the criteria you enter. The Find Message feature in Outlook Express is quite slow, particularly if you have a message store with thousands of messages. If you search for messages frequently, there are third-party tools available that can search your email much faster. A good choice is Google Desktop Search (desktop.google.com). To Type one or more words that specify the email address or display name of the recipient you want to find. Subject Type one or more words that specify the Subject line you want to find. Message Type one or more words that specify the message body you want to find. Received Before Select the latest received date for the message you want to find. Received After Select the earliest received date for the message you want to find. 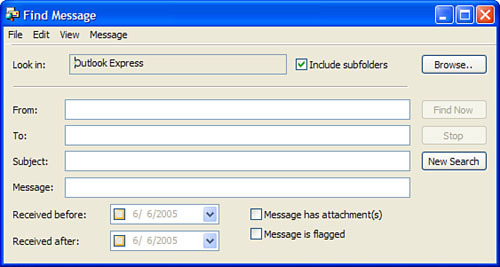 Message Has Attachment(s) Activate this check box to find only messages that have attached files. Message Is Flagged Activate this check box to find only messages that have been flagged. After you’ve defined your search criteria, click Find Now. If Outlook Express finds any matches, it displays them in a message list at the bottom of the dialog box.  From here, you can open a message or use any of the commands in the menus to work with the messages (reply, forward, move to another folder, delete, and so on). In an effort to create a kind of white pages for the Internet, a number of companies have set up directory servers that contain databases of names and email addresses. Using a standard Internet protocol called the Lightweight Directory Access Protocol (LDAP), email clients and other programs can use these directory servers to perform simple searches for names and addresses. Outlook Express supports LDAP and is set up to provide ready access to several of the most popular directory servers. To see the complete list, select Tools, Accounts and then display the Directory Service tab. If your company runs its own directory server, you can add it to this list by clicking Add, Directory Service and following the Internet Connection Wizard’s dialog boxes. Select the Edit, Find, People command. (Alternatively, press Ctrl+E or pull down the Find toolbar list and select People.) Outlook Express displays the Find People dialog box. Use the Look In list to select either Address Book (to search the Windows Address Book) or a directory service. To get more information about the selected directory service, click the Web Site button to open the service’s home page in Internet Explorer. Note, too, that in most cases you can use the website to add your own name and address to the service. If you know the email address of a person and want to find out his or her name, use the E-mail text box to type the person’s exact email address. Click Find Now. Outlook Express accesses the directory server and runs the query. If the server reports any matches, they’re displayed at the bottom of the dialog box.